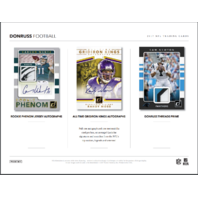 - Find 1 autograph and 1 memorabilia card, plus tons of inserts, parallels and rookie cards per box! 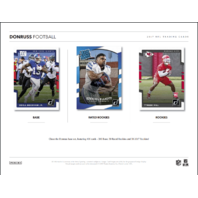 - Rated Rookies returns and features the top players from the 2017 NFL Draft! 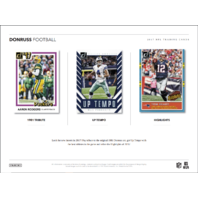 - Look for 40 inserts per box, on average. New for 2017 - Ground Force, 1981 Tribute, Up Tempo, Salute to Service and Highlights! 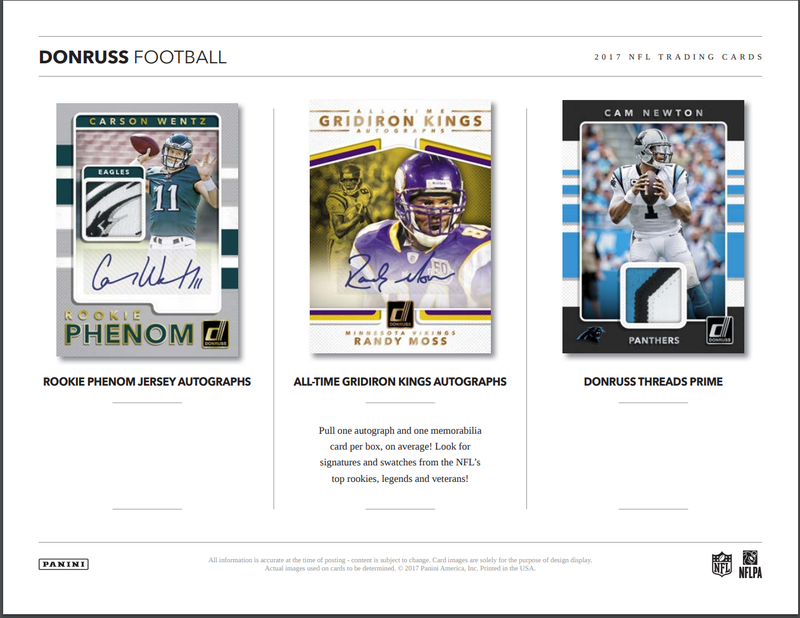 - Pull Rookie Phenom Jersey Autographs, featuring Prime and Tag versions numbered as low as one-of-one! 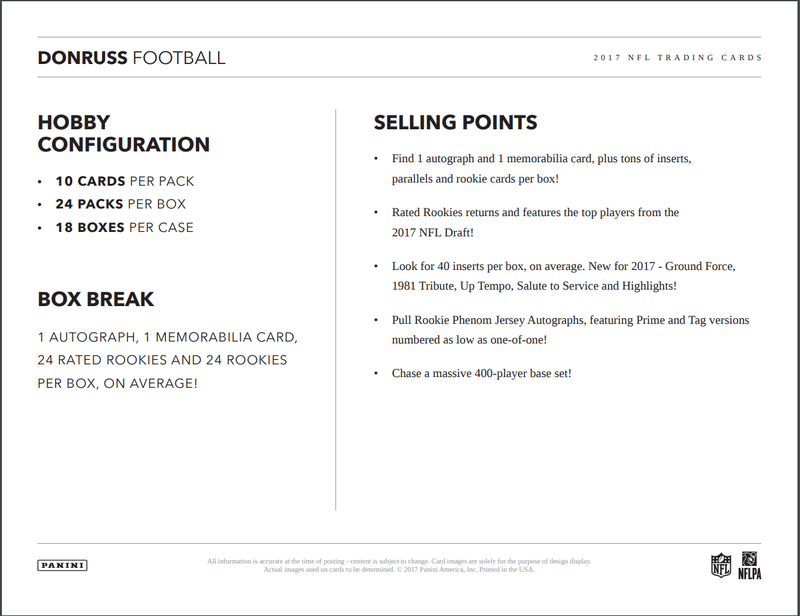 - Chase a massive 400-player base set! 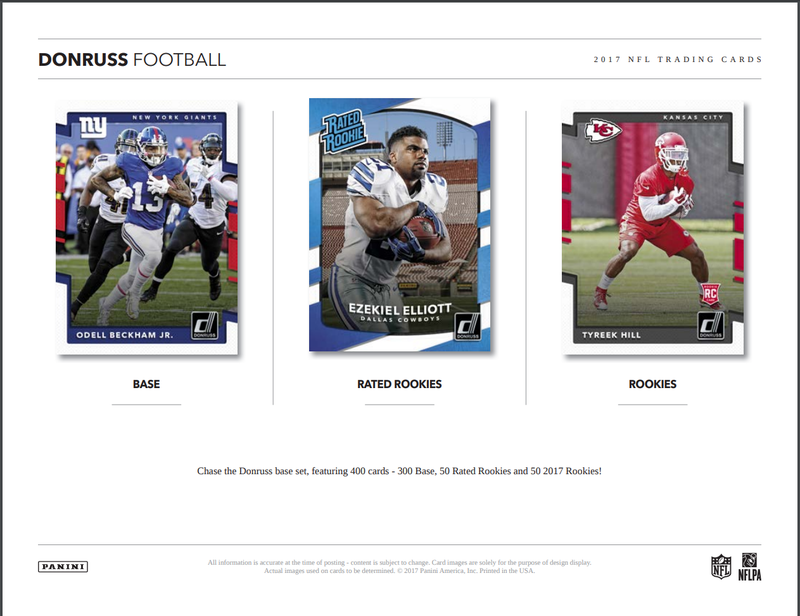 Chase the Donruss base set, featuring 400 cards - 300 Base, 50 Rated Rookies and 50 2017 Rookies! 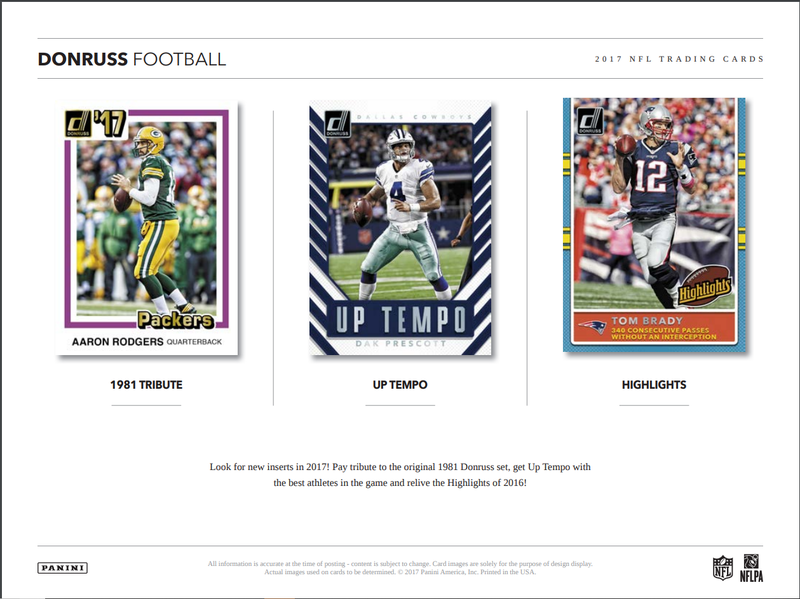 Look for new inserts in 2017! 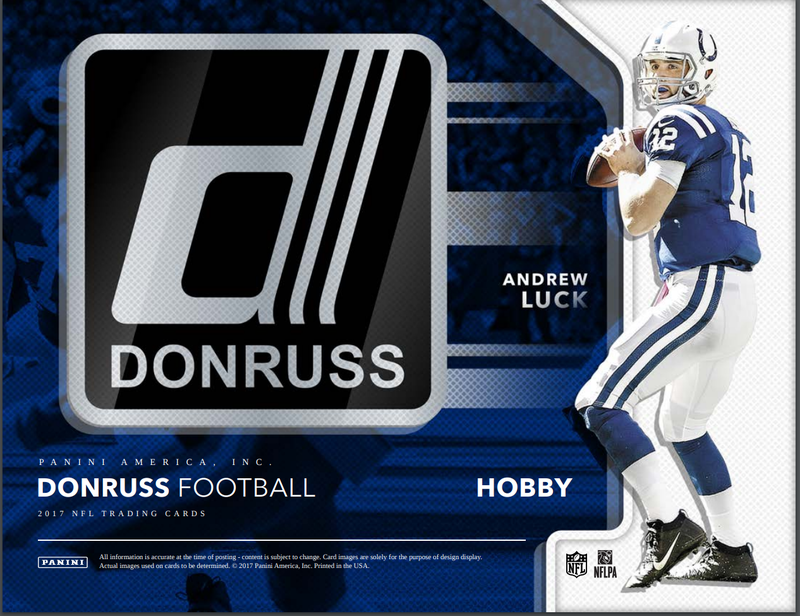 Pay tribute to the original 1981 Donruss set, get Up Tempo with the best athletes in the game and relive the Highlights of 2016!